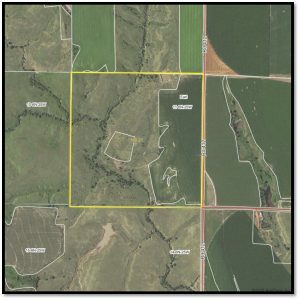 Description: 158 acres located 16 miles east of Stockville, NE, or 14 miles north of Cambridge, NE. 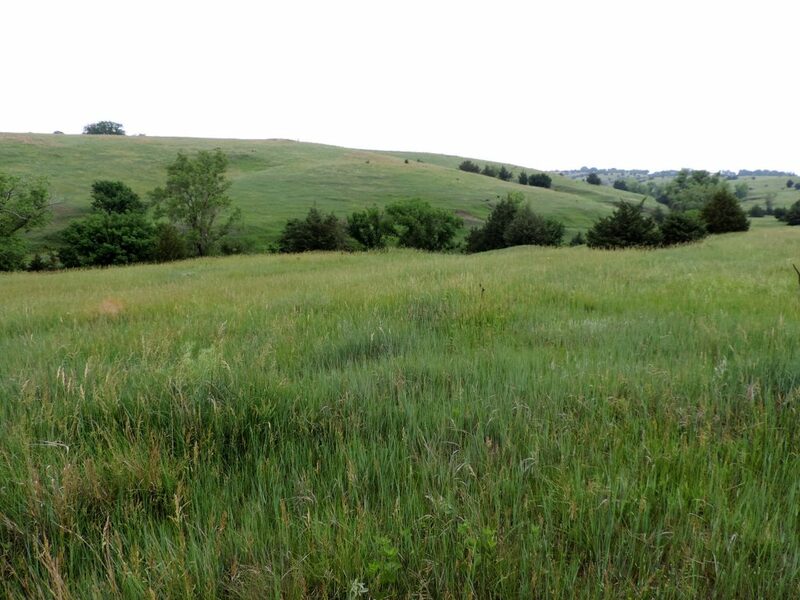 Property consists of pasture and dryland cropland with Muddy Creek running through it. 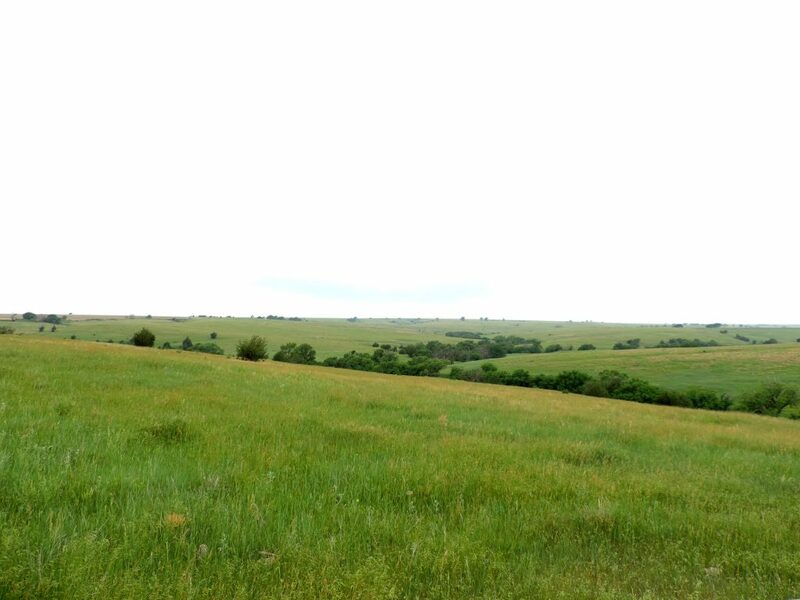 16 miles east of Stockville, Nebraska, just off NE Hwy. 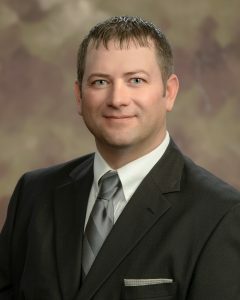 18 or 14 miles north of Cambridge, Nebraska, on County Road 412. 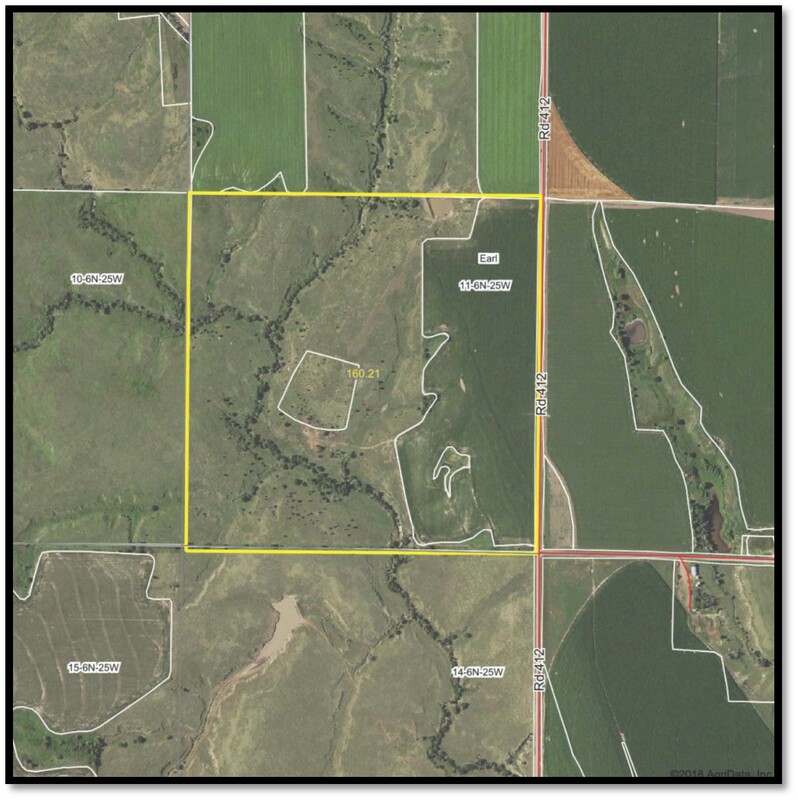 SW1/4 of Section 11-T6N-R25W of the 6th P.M., Frontier County, Nebraska. 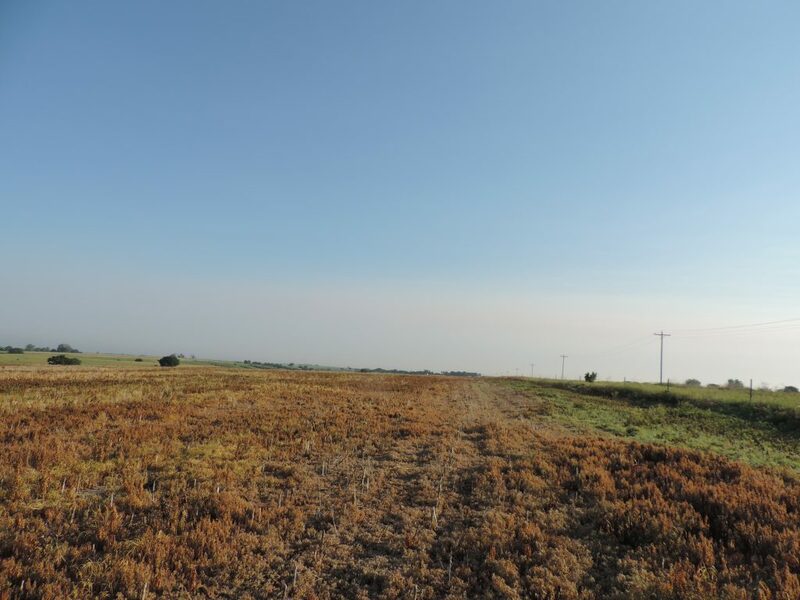 This property is comprised of 48 acres of dryland cropland and 110 acres of rangeland. 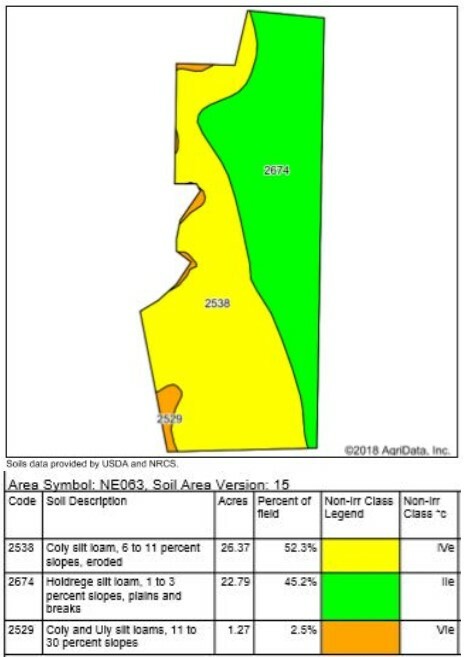 52.17 cropland base acres, 15.33 Ac wheat base, 30.66 Ac corn base and 6.18 Ac soybean base. 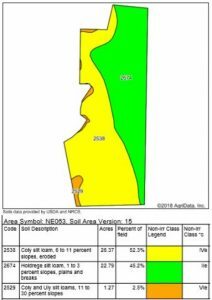 Excellent access by graveled county road on east side of the property. 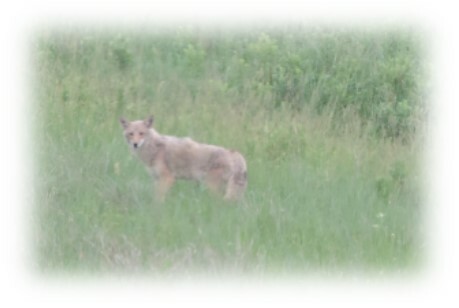 Excellent wildlife, with abundant deer and turkey along West Muddy Creek.